How to recycle, how to reuse different products that we use everyday is certainly a matter of great interest nowadays. Increasingly more people are informed and involved in finding solutions to preserve environmental resources. Nevertheless there are still many others who are not informed or are careless or do not realize that it depends only on us to protect the environment and its natural resources. We should be aware that everything starts with us and every little gesture made for this purpose will lead to better living for all of us. For example, how many of you have thought to recycle or reuse the already used aluminum beverage cans? Because aluminum cans recycling is among problems that needs solutions in order to reduce litter, landfills and greenhouse gas emissions, knowing the fact that for example in United States are produced 131 billion cans and only just over 50% of them are recycled. On the other side, tossing away an aluminum can waste as much energy as pouring out half of that can’s volume of gasoline. The question is what can we do with millions of empty beverage cans? Well, it’s seems that Turkish design consultancy Designnobis, who offers solutions by developing visionary and ecofriendly designs, have come up last year with an innovative idea which shows how easy is to recycle by reusing aluminum beverage cans. So forget about throwing them away! 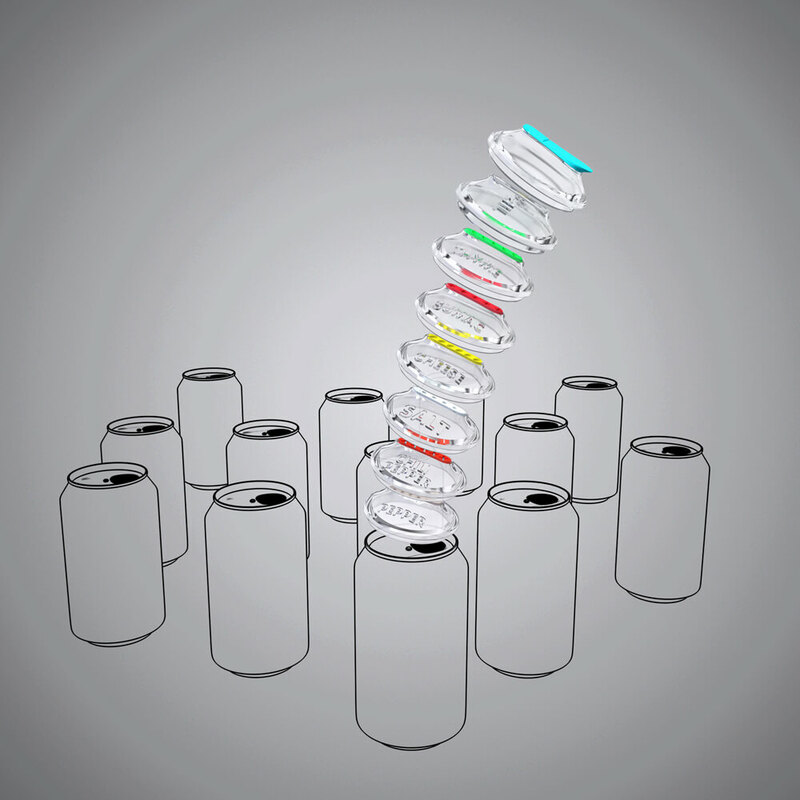 Designed by Hakan Gürsu, “Cans’n Caps” , as it was named, is an eco-friendly product design which helps us give other various functionalities to our used aluminum beverage cans. With “Cans’n Caps” we “revive” aluminum can, making functional and fun objects of everyday life while being earth-friendly as well. The caps have different creative and attractive designs depending on what purpose it’s used: for salt, cheese, pepper; or vinegar, oil, lemon; sugar or anything else, even as a pet feeder or as a candle. Interesting isn’t it? Raising environmental conscience among people, encouraging recycling and reducing aluminum can waste are the main design goals of this project, who has already won not more than 4 design awards in 2011 and 2012.